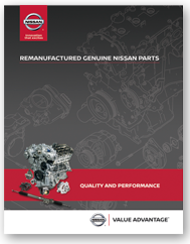 Every Nissan-validated Remanufactured Part goes through a multi-step remanufacturing process that ensures quality control at every stage of cleaning, inspection and assembly. 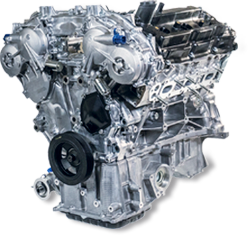 These premium products are engineered to meet or exceed Nissan standards because they’re remanufactured using processes similar to the way new parts are made. 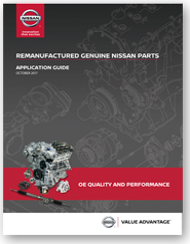 Nissan Remanufactured Parts are built with components that are gauged, sorted, tested and renewed to Nissan quality specifications and include vital new components. Parts warranty: 12-months/12,000 miles1(whichever occurs first). profit for those vehicles needing a complete replacement. When you are unsure how to fix it, call the no-fee Nissan Installer Repair Hotline powered by Identifix4: 1.855.828.4018. 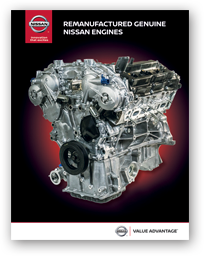 For repair tips, tech updates, and to view TechNews magazine visit NissanTechNews.com. Email us for help finding participating dealers, parts coverage or additional program information: NissanWHSAdvProgram@nissan-usa.com. 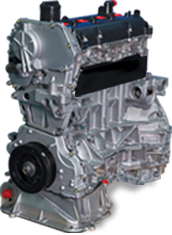 11Nissan North America provides a limited warranty on Genuine Nissan and Nissan Value Advantage® parts distributed by it and properly installed on Nissan vehicles. The Limited Warranty covers repairs needed to correct defects in materials or workmanship for 12 months or 12,000 miles from the date of installation, whichever occurs first. See Warranty Information Booklet for complete terms, conditions and exclusions. 2For complete information concerning coverage, conditions, and exclusions, see your Nissan Dealer and refer to your warranty information booklet.3Contact your Nissan Dealer for exact model year applications and more information. Additional applications may be available. 4Identifix Repair Hotline hours are Monday-Friday 7am-7pm CST.